Mason jar recipes are great holiday gifts. They don't require any cooking time just stuff with the ingredients and go. I was thinking it would be kind of fun to dress up your jar just a little bit before you sent if off to your neighbors. 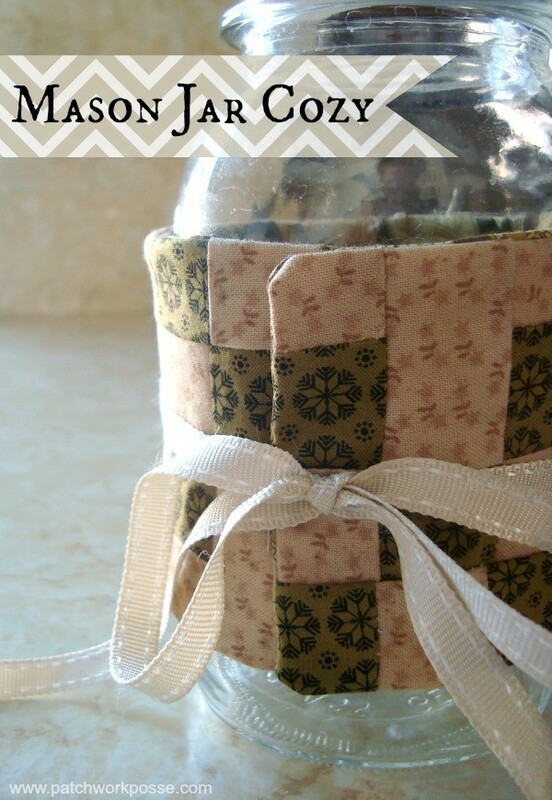 For this Mason jar cozy, I used one quilt block that I cut right in half. I wasn't too worried about this as the quilt block wasn't done in the best of manners. There were mistakes and some seams were off. Do you have quilt blocks like that sitting around? Those are perfect for this kind of project.